Have a limited budget but need to renovate your home? Want to give your home a beautiful, new look while also getting the most out of your investment? Then trust us for stunning luxury vinyl tile in Marrero, Louisiana. 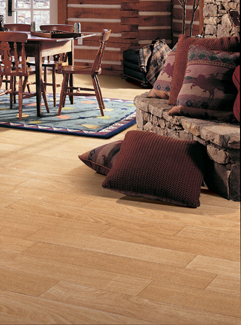 Vinyl is a resilient flooring option that comes in a wide selection of styles. When you visit our flooring showroom, you'll find options that match your personal preferences and interior design sensibilities. We have vinyl in the color, shape, or style to perfectly match your home or commercial business. Whether you prefer the look of luxury vinyl floor tile or luxury plank flooring, you can find exactly what works for your personal tastes. Also, you can rely on our seasoned showroom professionals to guide you to the right kind of vinyl. Simply tell them about your design goals and your budget. Our company provides luxury vinyl tile installation in addition to our impressive selection of flooring materials. Because our installation teams have intimate knowledge about the stock we offer, you can rest assured that you will be guided by a professional who cares. We help you select the right luxury vinyl flooring that matches your property. Whether you choose luxury vinyl floor tile or plank flooring, you benefit from a variety of vinyl’s features. Manufacturers have improved this material over the past few decades. This means that it now stands up to heavy traffic and resists scratches. As always, this flooring option is easy to clean, making it an ideal choice for homes with pets or children. Another great benefit to this resilient flooring material is how it easily mimics a variety of other, more expensive options. From stone and tile to hardwood flooring, vinyl plank and tile flooring can give you a look you’ve always wanted for your home for much, much less. You also don’t have to worry about the maintenance associated with most of these more expensive options. Vinyl is the perfect choice for any area of your home, from the kitchen to the bathroom. It’s no secret that luxury vinyl is widely revered as “resilient flooring.” Thanks to contemporary manufacturing methods, this material can withstand everyday floor traffic and the unpredictability of daily life with ease. Vinyl planks and tiles are made of many different layers, including a strong core, a design layer, and a non-porous “wear layer” that is coated with composite materials. Vinyl looks more beautiful than ever, but many homeowners are concerned that walking on it every day will hurt their feet. Nothing could be further from the truth. Luxury vinyl tile and plank flooring are now made with fiberglass backing. This creates a cushioned feeling for homeowners to enjoy, which is especially helpful for homeowners who spend a long time cooking in the kitchen. The top layer can resist water, spills, and stains. As a result, vinyl flooring is an excellent option for high-traffic areas, including the kitchen, bathroom, and living room. Cleanup is also simple. Just use an approved cleaner and a mop or cloth to keep your investment looking as good as new. Another great feature of vinyl flooring is its ability to retain its temperature. Enjoy a pleasant feeling underfoot all year long! Luxury vinyl tile, also known as “LVT,” is just as creative as it is resilient. Our tile flooring options are available in an extensive selection of sizes. This allows tile flooring to be arranged in different patterns. So whether you wish for a uniform color or are creating the foundation for an imaginative space, luxury vinyl may be the right choice for you. Solid colors, subtle textures, and everyday dependability are all found in vinyl tile. As always, our helpful sales representatives are here to aid you in finding the right combination for your next flooring project. We stay up-to-date with the latest remodeling trends and share our knowledge with our customers. After all, our goal is to ensure you are completely satisfied with your purchase. The adaptability of vinyl is yours to put in your own home. Luxury plank flooring assumes the shape, texture, and appearance of popular hardwood flooring options. That’s right--the majestic aesthetic of wood can be in your kitchen or bathroom. Our company works with trusted manufacturers so that you can take advantage of an impressive selection of vinyl plank options. Have you ever wondered what wood species like cherry, oak, or mahogany would look like in your home? Our design consultants can show you flooring samples that align with your project parameters. Whether you are remodeling a single room or an entire property, one thing is sure: you deserve to get the most out of your new flooring. To that end, our showroom is more than happy to facilitate luxury vinyl tile and plank installation. We send professional installers to complete your project. Our technicians measure the project spaces, remove old flooring, and place your selection according to your schedule. On top of that, our workmanship is backed by the Ultimate Confidence Guarantee. This multipurpose collection of warranties is available for select star-rated products. It includes a lifetime installation guarantee. If you ever find something wrong with your flooring as a result of our installation service, we’ll return and make things right at no additional cost to you. Need more convincing? Then come to our showroom and see the available options for yourself or contact us to find out more about beautifying your property with luxury vinyl tile. We proudly serve customers in Marrero, Louisiana, and the surrounding areas.